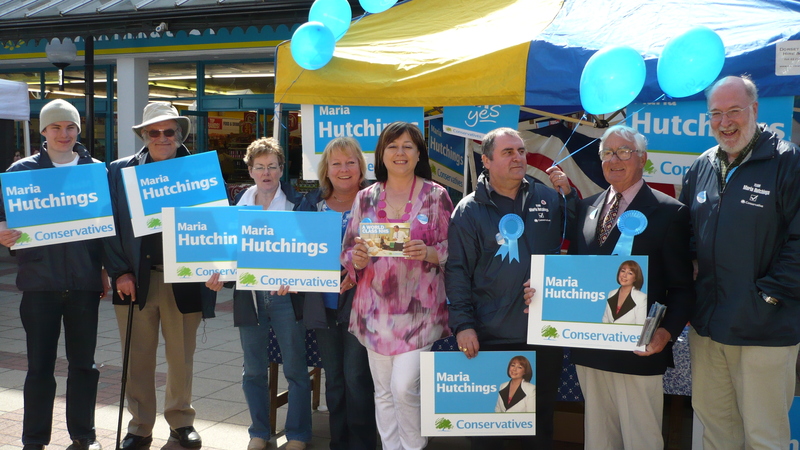 Conservatives activists campaigning in Eastleigh during the last election. Political blogger Guido Fawkes has reported that the Conservative party plan to send a team of 2000 party activists this Sunday, two days after the town’s Lib Dem MP Chris Huhne is due to appear in court alongside his former wife to answer charges of perverting the course of justice. A spokesperson for Eastleigh Conservatives insisted said the surge in activists was solely in connection with the forthcoming local elections and not because they anticipated Mr Huhne might be convicted anf there being a possible by-election. “It’s just a coincidence that we running this over the weekend, it was all arranged before Chris Huhne had trial date set. Mr Huhne will be appearing at Stratford Crown Court this Friday March 2. 2000 Tories – do think we can apply for a tax rebate from the council! It makes you wonder if they know something we dont? Well if Chris Huhne promised something before he was elected (i.e to recall himself) you can bet he will renege on it now! Lib Dems don’t stick to their public promises or pledges. Let them come! It will make no difference to the final vote in a by-election. UKIP will be there and it will take that handful of votes to split the Tory vote, just like it did in 2005. All this would be so unnecessary, if only Tory leaders were not betraying Britain by continuing to support our governance by an imperialistic Germanic power in Brussels. Yep, splitting the Tory vote will really help – by letting the LibDem europhiles win! Please try to engage brain! At least Peter uses his real name to add comments not like pianoman….so show us your colours!